What is Blogger Redirection ? 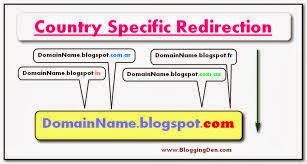 Most of you know that Google Redirects your blog to the Country Specific URL. Lets take an example say you are a Indian Blogger so, Google will Redirects your blog to example.blogspot.in and now whenever you type example.blogspot.com Google will redirects you to example.blogspot.in. Now, if somebody is posting Blog from Australia so he/she will be redirected to example.blogspot.co.au though he/she type example.blogspot.com . Same thing follows for the rest of Countries . There are many Consequences of Re-directions. Redirection always affects you Social Presence, Your blog's Traffic. it will dilute your Social Stats, Facebook Likes, Google +1, Tweets Counts and also Pinterest's Pins. How to Prevent Re-Direction ? So, now you have the proper idea of Re-direction and there Consequences. so, you might be thinking is there is any way to block / Stop Blogger to Redirect. The answer is Hell Yes. I've Wrote one < Script > which will definitely Block / Stop Blogger from Redirection to Country Specific Domains / URL's. 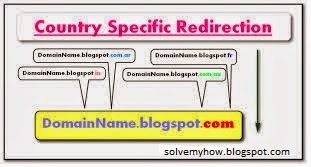 The < Script > written above will block blogger from Redirect to Country Specific Domains. you can see my blog it won't Redirect from solvemyhow.blogspot.com to solvemyhow.blogspot.in . Now, you just have to paste this code in your blogger. 2) Go to Template from the drop-down list or from the DASHBOARD . 3) Choose " Edit Template " followed by " Customise " . 4) Paste the Code or Script into the <head> Section. That's all you need to do the rest is Intelligently automated. 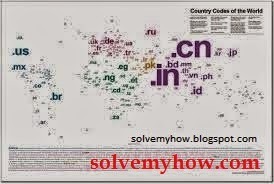 Now, this code will force the blogger to serve you with example.blogspot.com URL . If you found this post helpful then don't Forget to Comment, Share and Subscribe after doing the above setting succesfully. Informative Post. But, i would like you to suggest to use java script to Prevent Blogger Blog from Redirection. I've made the code by using Java Script and it is just of 4 lines. you can check it out ...! Thank you. Easy script and works like a charm! it is work very good. but in my case the bloger redirect first to uk instead il so all the blogs Neighbours are a uk and the blog do not have expose at israel, is there something to do whith it ? So, this is not possible. Have to kept the code in "head" section. Please make sure to follow each and every step correctly and do let me know if your are still facing any problem.